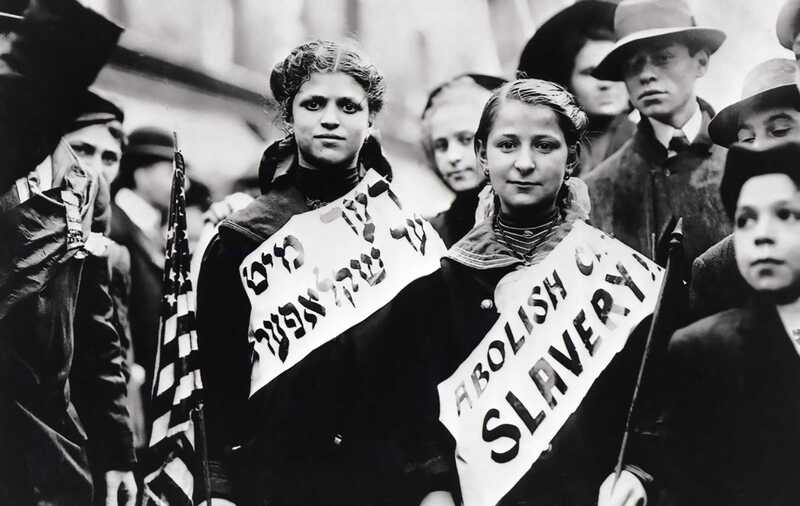 A major struggle in the history of the American Left occurred when twenty-five thousand striking silk workers shut down the three hundred silk mills and dye houses in Paterson, New Jersey, for almost five months of 1913. From the beginning, the strikers focused on issues of workers' control. During the strike, they successfully overcame differences of nationality, craft, and gender; their democratic self-organization served as a school in self-management. Unlike most textile strikes, including the 1912 strike in Lawrence, Massachusetts, the Paterson strike did not begin as a defensive battle against a wage cut. The broad-silk weavers called the strike on 25 February as a way of blocking an increase in loom assignments from two to four. As skilled workers, broad-silk weavers had fought since the 1880s for control over the rate of production. Responding to their strike call, the ribbon weavers and unskilled dyers' helpers joined the 1913 strike, making it the biggest in Paterson history. Many of the silk workers had brought militant traditions of struggle with them from European textile centers; in Paterson they had welded their traditions together. The Industrial Workers of the World (I.W.W.) organizers whom they invited to help them in 1913 -- Elizabeth Gurley Flynn, Carlo Tresca, and Bill Haywood -- added some traditions of their own. Flynn held successful weekly meetings for women only. With I.W.W. encouragement, Italian and Jewish women like Carrie Golzio and Hannah Silverman joined the traditional local leadership of male weavers (Adolf Lessig, Louis Magnet, Evald Koettgen). I.W.W. organizers stressed that the active role played by rank-and-file silk strikers in the management of their strike was training for the democratic management of industry and society. This revolutionary vision of workers' control reached its fullest expression in the "Pageant of the Paterson Strike" performed by over a thousand workers in Madison Square Garden on 7 June. The even was conceived by John Reed and supported by the I.W.W., the Socialist Party, Greenwich Village intellectuals, and a social circle associated with heiress Mabel Dodge. Despite the pageant, the strikers were eventually defeated. Although they had shut down Paterson, beaten off an attempt by the American Federation of Labor to undercut the strike, and nonviolently overcome a police offensive against them, they had been unable to extend the strike to annexes of the Paterson mills in Pennsylvania. Paterson manufacturers, victorious but frightened, held back the four-loom system for another decade. Strike supporters were torn apart as a result of the defeat, and the I.W.W. never recovered in the East. Historical interpretations have been dominated by Flynn's version, which blamed the defeat on the Socialists, the Villagers, the ribbon weavers, the pageant, and (in effect) Haywood. The creative implications of the Paterson strike, for the Left, Remain largely unexplored. Excerpt from Buhle, Mari Jo, Paul Buhle, and Dan Georgakas, eds. The Encyclopedia of the American Left. 2nd ed. New York: Oxford University Press, 1998. Reprinted with permission. 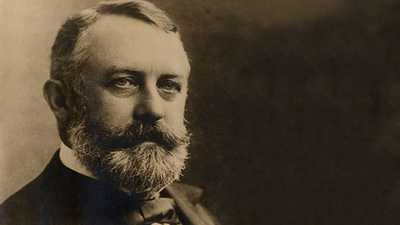 At the age of twenty he formed Frick & Company, a coke-producing venture in the Connellsville coal district of Pennsylvania. 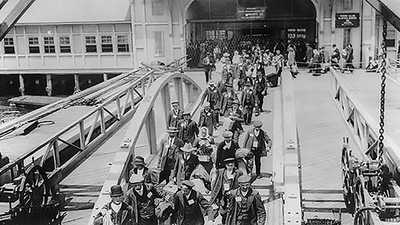 Ellis Island, an iconic entry point to America, was also a place of detainment and deportation. 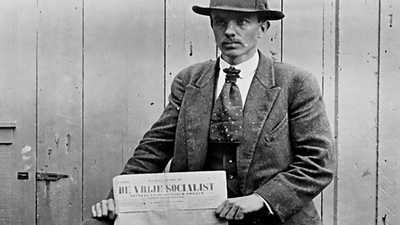 Socialist and anarchist speakers provoked local law enforcement officials with their inflammatory, pro-union, anti-capitalist speeches.